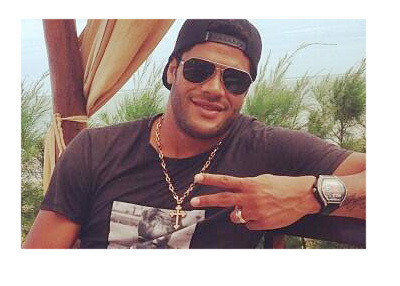 The 29-year-old Brazilian forward Hulk arrived to Shanghai, China today to complete a move to SIPG worth in the area of €56m. This transfer is the new Chinese Super League record and the highest fee paid so far in the 2016 summer transfer market. Hulk (who has a cannon for his left foot) will be earning €20m / year and is the highest paid football player in China at the moment. His previous transfer from Porto to Zenit St. Petersburg in 2012 was a heavy one also, worth €60m. The Chinese Super League is putting itself on the map with every new marquee signing. In the last year alone several big players have made a move out east: Ramires, Teixeira, Lavezzi, Jackson Martinez and Gervinho to name a few. The Chinese clubs have so far spent in excess of €270m on foreign stars this season. The old CSL transfer record, €50m Alex Teixeira move to JS Suning, was set not long ago and the way things are progressing it is very possible that there will be a new record set again soon. The CSL's profile is growing quickly at home and abroad. Who will be the next to sign?